It’s October and that means that it’s time for Halloween! 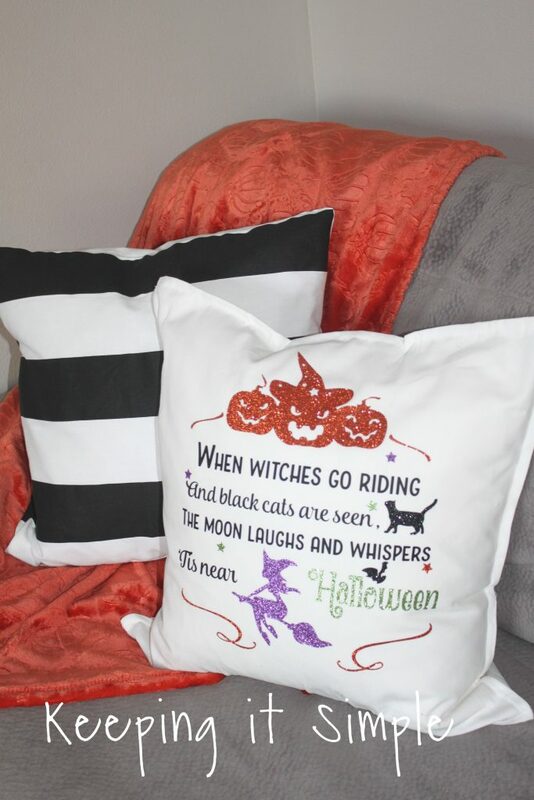 This year I am going to make a bunch of fun Halloween pillows to put onto my big sectional couch. 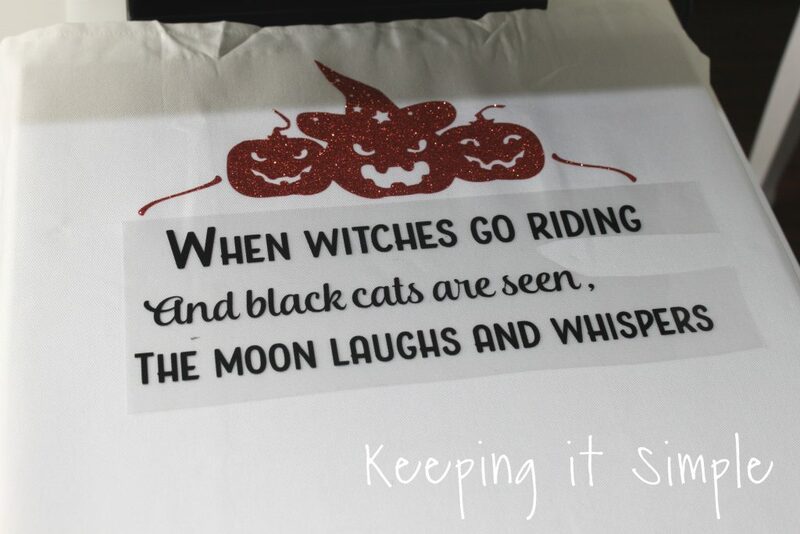 I haven’t made pillows in several years and so I’m excited to have some new Halloween decorations to bring out and put with my old ones. This one is super fun and I love the design of it. I got it from the Fall bundle and love everything about it, the saying, the characters and the colors. 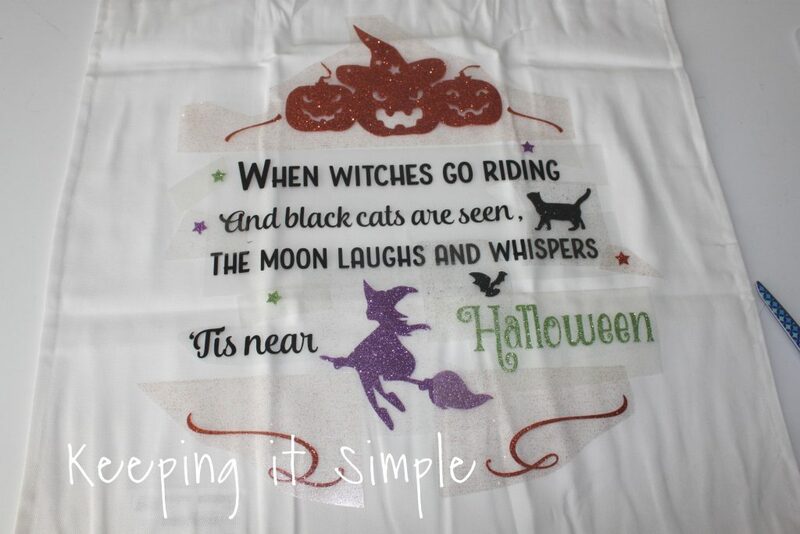 I love when it’s super easy and all I have to do is cut it out and put it onto a pillow :). Here is a quick video to show you the process of how to make it, as you can see in the video, it’s super easy :). 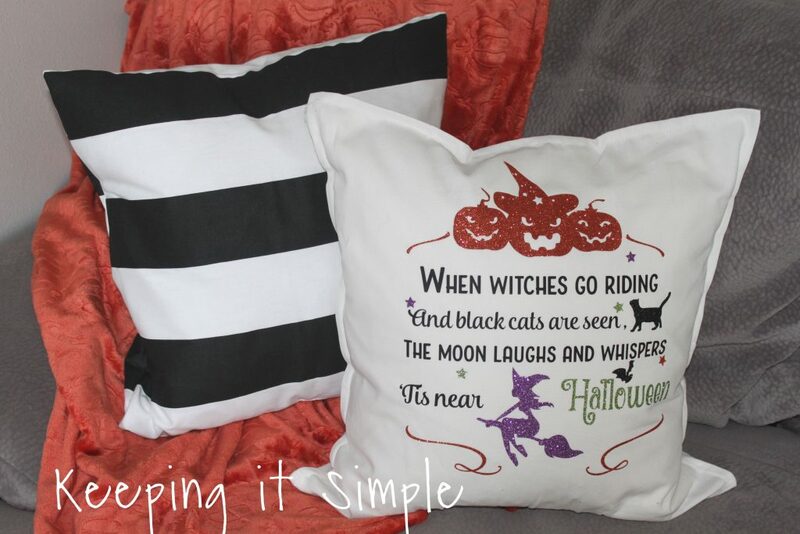 This is how I made the fun DIY Halloween pillow. 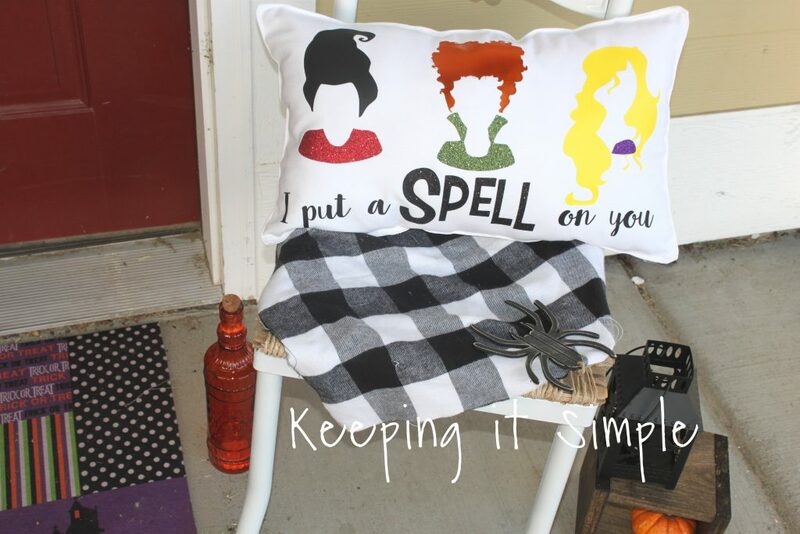 I started with a pillow cover, I got it from Ikea but I also get them from Hobby Lobby all the time. I then used some fun colored heat transfer vinyl. 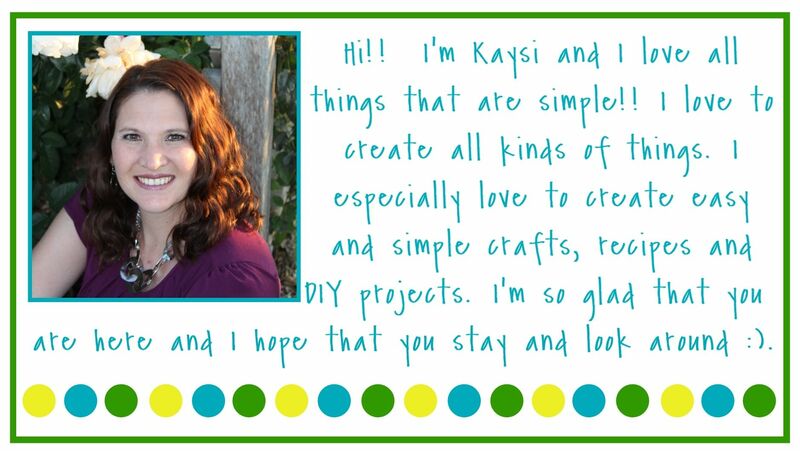 I used some glitter HTV and then some smooth HTV. The colors I used in the glitter are galaxy black, copper, lavender and light green. I then just used a regular black in the smooth. I cut out the design with my Silhouette CAMEO. You can get the design here. 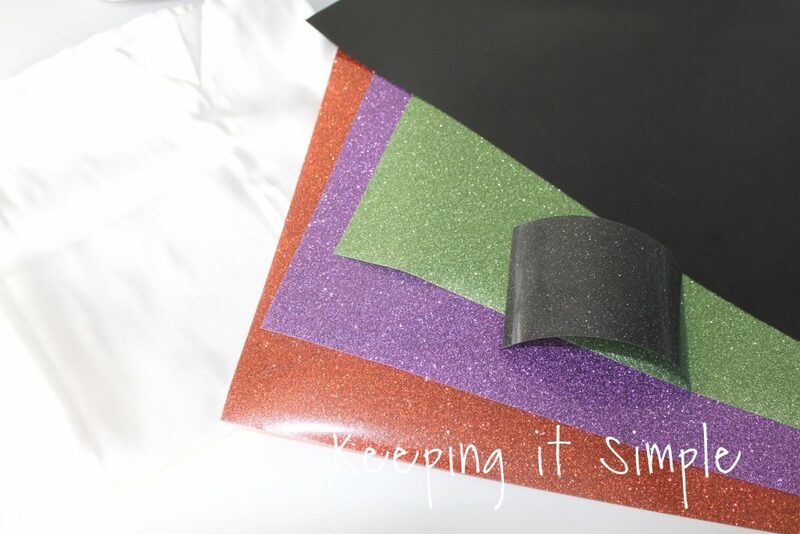 Make sure to mirror the image and put the shiny/plastic side down onto the mat before cutting it. I then weeded all of the vinyl leaving the fun design. As you can see I grouped the colors together before cutting them and then I cut the different sections with scissors before arranging it. I put the design onto the pillow cover and arrange it before I pressed it onto the pillow cover. Now for the fun part, pressing the design onto the pillow. 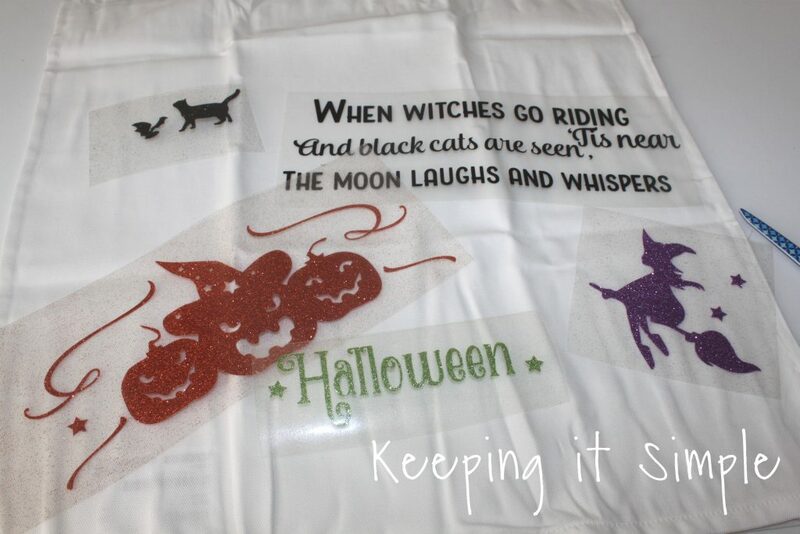 I used a heat press, I sent the temperature to 320 degrees because the majority of the HTV I was using was glitter. For each layer I pressed it for 15 seconds. 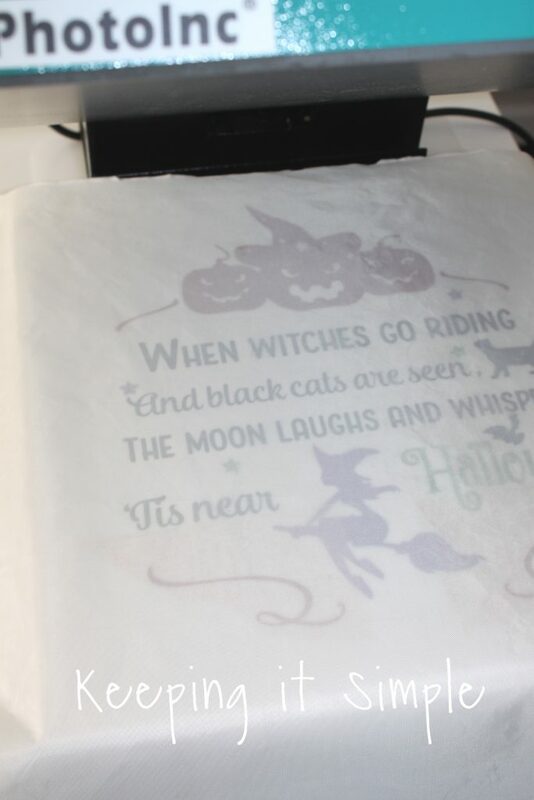 You can also do this with an iron, you just have to make sure that you put enough pressure onto the HTV so that it gets a good seal onto the fabric. Which each layer I pressed it for 15 seconds and then peeled off the plastic while it was warm. Then when I did another layer I put the heat press cover sheet over it so it would protect the HTV that was already pressed onto the pillow. Here is the pretty design all pressed into the pillow cover, I love it! I added a pillow insert into the pillow and that’s it! I love how it turned out! 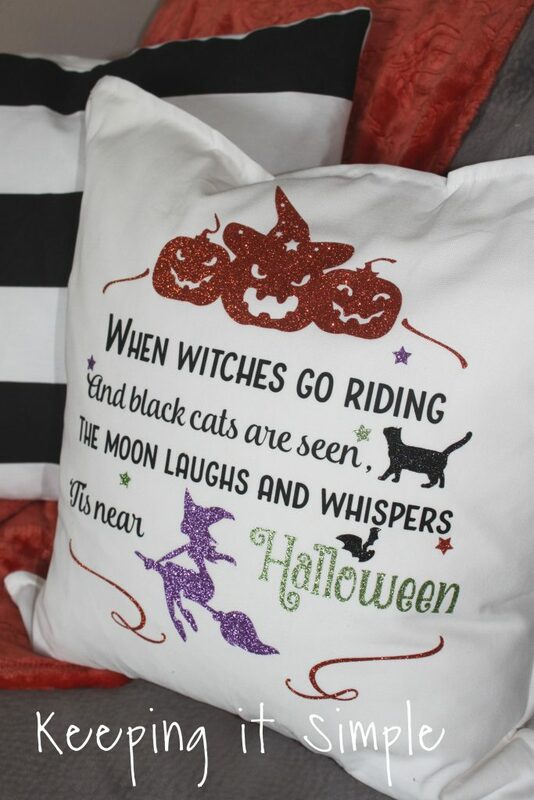 Here is a close up of the Halloween pillow design. It’s going to look so good with all of my other pillows and decor! 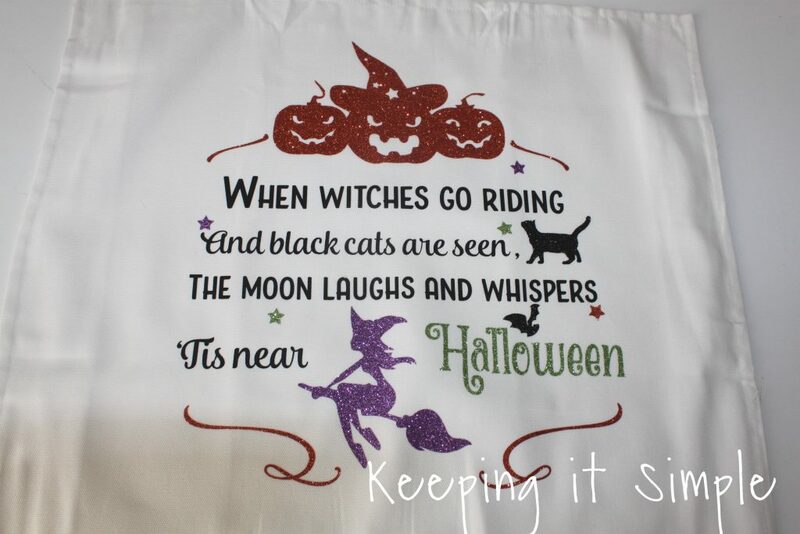 I can’t wait to deck out my house in all of my Halloween decorations. 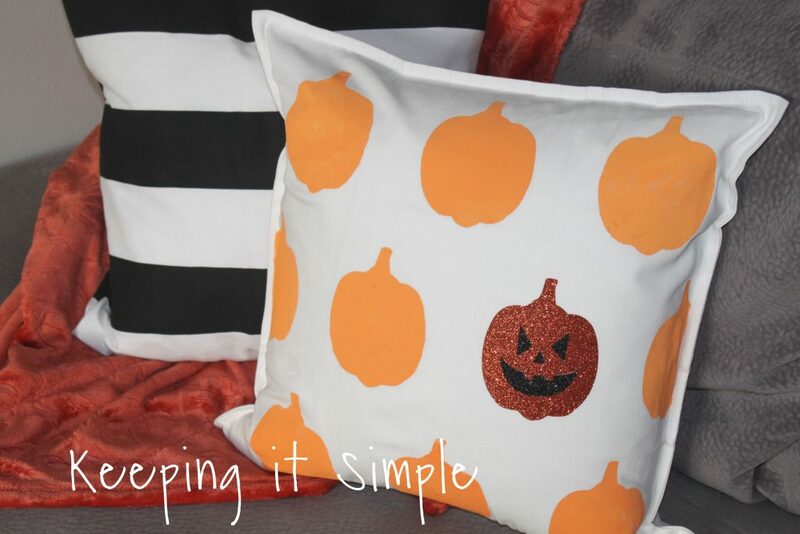 Just for fun and to save space, I actually have a fall design on the other side of the pillow :). 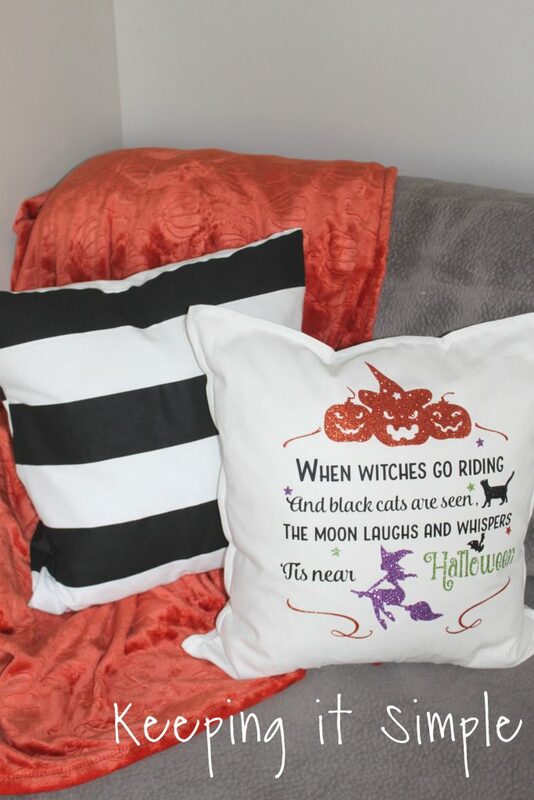 Check out all the other Halloween pillows I have made.